I have a great album to share with you from Josh & the Jamtones! 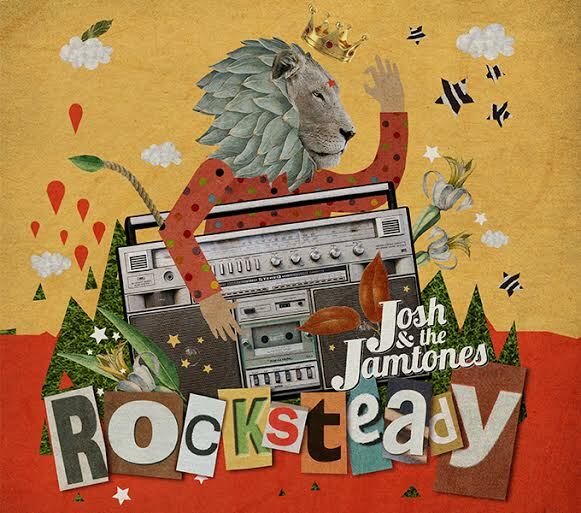 ROCKSTEADY entwines rock, light rap, pop and funk in a magical way that will have your kids dancing and singing along through the whole album! Chock full of frenetic, danceable reggae/ska jams, ROCKSTEADY features special guests Jesse Peter Wagner (lead singer with legendary reggae/punk/ska band The Aggrolites), Grammy-nominated Secret Agent 23 Skidoo, and Father Goose (featured on the Grammy-winning Dan Zanes family albums). A mashup of ska with punk rock, hip-hop and doo-wop -- often played at lunatic speeds -- is the foundation of the Josh & the Jamtones sound. ROCKSTEADY (a word that historically describes an early type of ska) is easily the most ambitious album the band has ever recorded, with 19 songs and skits performed by 18 musicians on over 40 instruments. ROCKSTEADY will be available on the Josh & the Jamtones website, CDBaby, Amazon, Spotify, iTunes, and other online retailers. Visit the Josh & the Jamtones website HERE. Josh & the Jamtones on Facebook. Josh & the Jamtones on Twitter. Josh & the Jamtones on YouTube. You can tell that this band had fun with this album. The skits that are mixed throughout the fabulous songs show that they wanted this album to be an experience - and it is! I love the eclectic sounds of the different musical genres that blend to make some really great music! Rude Boiz is probably my personal favorite - something I can just seem myself listening to without the kids! WIN WIN WINOne lucky reader will win ROCKSTEADY! I would listen to it with my niece.